The three towns, Paignton, Torquay and Brixham along the shores of TorBay are now collectively known both as Torbay and The English Riviera. Torquay faces south, and due to it's sunny aspect, developed a reputation as a health resort in Victorian times. The waterfront, it's marinas, wine-bars, restaurants, clubs, theatre and unique town centre shops, offers visitors all the facilities required by modern international holiday resorts. Below are a few select and highly recommended Guest Houses Torquay, Bed & Breakfast in Torquay and Torquay Hotels in and around the surrounding area. 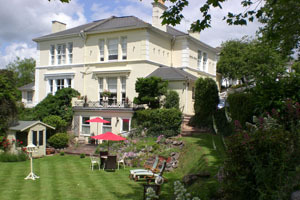 Close to the Village of Cockington, Torquay The Charterhouse is an award winning 4 star silver Bed and Breakfast Hotel. An Edwardian Villa dating back to 1907 is set in a lovely quiet area but still withing easy reach of all local restaurants, bars, beaches and other tourist attractions. Is an award winning 4 star silver Bed and Breakfast Hotel, close to tourist amenities. 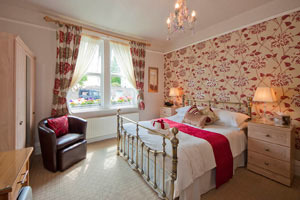 Offering a warm and friendly welcome along with stylish, comfortable en-suite bedrooms and a freshly cooked breakfast. This comfortable and friendly small B&B Torquay is set in a beautifully converted detached Victorian villa built in the 1860s, located in a quiet conservation area of Torquay`s main hotel and bed and breakfast accommodation area. 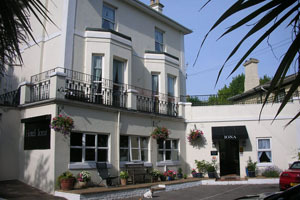 Situated in the old part of Torquay, The Iona offers quality accommodation in a central location, close to the main town, sea front and the Riviera Conference and Leisure Centre. 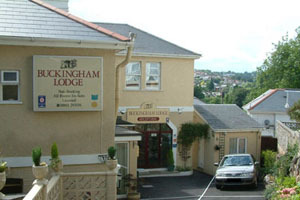 A friendly, family run guest house situated in a quiet, tree-lined road in Torquay. Offer quality bed and breakfast accommodation in a relaxed and welcoming environment, where your holiday or business requirements are made priority. 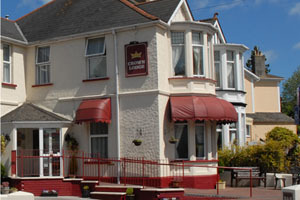 one of the special Bed & Breakfast in Torquay. 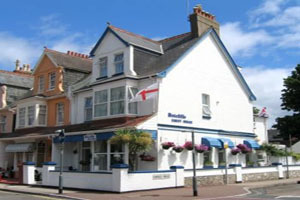 The warm reception and attention to detail found in this delightful bed and breakfast attract discerning guests from all over the UK and across the world, looking for a relaxing and enjoyable holiday in the heart of the beautiful English Riviera. 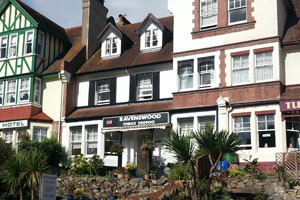 Ashley & Kathy welcome you to the Ravenswood Guest House, centrally located only 400 metres from Torquay Harbour with its abundance of restaurants bars and eateries & the town centre for shopping. We pride ourselves on our friendly service and delicious breakfasts to start every day perfectly. A wonderful place to rest and relax and yet be within a short stroll of the attractions. At Mulberry House we believe small is beautiful. Due to the size of our B & B (three bedrooms), we are able to offer a more personalized friendly service which is often lacking in larger establishments and hotel chains. 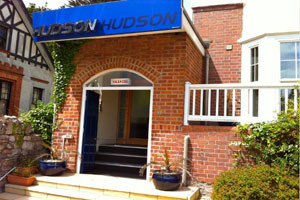 Located on a quiet street in Torquay the heart of the English Riviera. Close to the main shopping centre, restaurants, beach and other attractions in Torquay. Situated just two minutes' walk from Torquay harbour, our hotel provides superb quality bed and breakfast, with a bustling array of shops, restaurants and bars also nearby. There are 10 spacious bedrooms, each with a stylish shower room, digital TV, seating, and coffee/tea facility. Free Wi-fi is available to all guests. 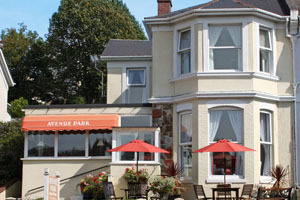 Avenue Park offers quality Bed & Breakfast in Torquay and is now owned and run by Keith & Sandra Walker who look forward to welcoming you and making your stay as comfortable and pleasurable as possible. Located in the centre of Torquay. 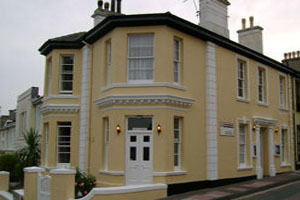 Linden House Torquay is an Elegant Victorian Guest House with a lovely Private Garden Offering high quality Bed and Breakfast and Evening Meals in Torquay, Centrally situated for all that Torquay has to offer and a Level Walk to the Sea Front and Town Centre. 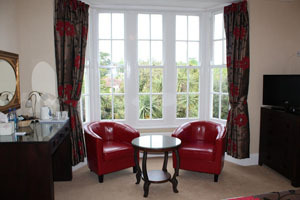 The best of the elegant Guest Houses Torquay. A distinctive, late Victorian Guest House, run by Kevin and Anna Hunt. The Ratcliffe Bed and Breakfast Guest House offers a varied and balanced menu for breakfast using home cooked locally sourced produce. 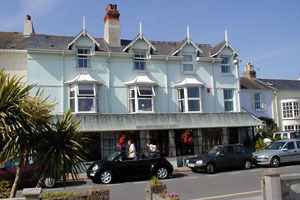 Situated in the heart of Paignton, Devon with the beach, town centre and local amenities all within a few minutes stroll. 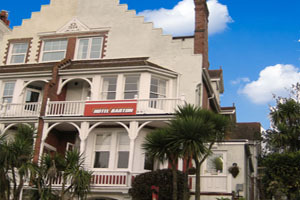 Hotel Barton is a bright modern family run hotel, 300 yards from Torquay harbour. The Torquay Hotel is light and airy. decorated in neutral colours in a fresh modern style. Andrew & Helen will make every effort to make your stay a pleasurable one, this being a small family run Hotel Torquay means you will receive a friendly personal service with attention to detail at all times. 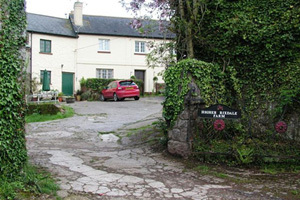 Higher Rixdale Farm B&B Accommodation. Chudleigh, Newton Abbot. There are two lovely, comfortable double en-suite bedrooms; ‘The Stable’ and ‘The Orchard’. Both rooms have tea, coffee making facilities, TV with DVD player and freeview, with a selection of DVD's’ hair dryer, torch, radio alarm clock/CD player, a selection of books and information on some of the many attractions in the area. There are also wine glasses and a corkscrew provided for a cosy night in with a good DVD. An iron and ironing board are also available. Breakfast is served when you would like it. Visiting the English Riviera is about spoiling yourself and having fun. Days can be as energetic or relaxing as you like, while as the sun sets the resort gains a second wind, with endless wining, dining, pubbing and clubbing possibilities. The newest attraction is the HiFlyer Balloon - Tethered but raising steadily to a height that provides a superb view of the whole bay - A must for all photographers! Babbacombe's Model Village is a great day out for all the family. With exquisite models and gardens in miniature. The village is illuminated at night and has its own cafe. Kent's Cavern is Torquay's most important prehistoric cave dwelling and is known around the world for its record of prehistoric human occupation. Guided tours available daily to discover how it was formed over 2 million years ago. Torbay has 2 multiscreen cinemas: The Apollo Paignton and The Central Torquay and live entertainment is provided at the Princess Theatre Torquay, The Babbacombe Theatre, The Little Theatre and The Palace Theatre Paignton. For a complete day out Take the Paignton & Dartmouth Steam Railway from Paignton to Kingswear following the River Dart. From here it is a short ferry ride across the River Dart to Dartmouth. You can return by Steam Train or by "Round Robin" take a cruise up the River Dart to Totnes where a bus will be waiting to complete the journey back to Paignton. You may make a break in your journey at Totnes if you wish to explore this old town before returning. Copyright © 2019 3B Designs. All Right Reserved.